The Transatlantic Trade and Investment Partnership is a series of trade negotiations that have been going on for three years in near complete secrecy between the EU and US. TTIP is concerned with reducing the regulatory barriers to trade in a range of areas including environmental legislation. TTIP’s agenda will seek to bring EU standards on the environment closer to those of the US. Generally speaking the US regulations are far less strict. The EU’s REACH regulations are far tougher on potentially toxic substances as in the EU a company has to prove a substance is safe before it can be used. The opposite is the case in the US and any substance can be used until it is proven unsafe. Within the TTIP’s talks the US have been pushing for a more scientific basis for setting future safety regulation in the EU. In America one of the issues facing the scientific community is the “poisoning of the well” of scientific information by a number of industries to help them defend claims in litigation. It has been well documented how papers that cast doubt on the relationship between white asbestos and cancer appearing in science journals have been written by consultants and experts who have a relationship with the asbestos or automotive industry. Such evidence in support of asbestos has also been submitted to the Environmental Protection Agency. What is not widely known here is that asbestos is not banned in the US. Although the EPA issued a final rule under Section 6 of Toxic Substances Control Act (TSCA) banning most asbestos-containing products in 1989, this has since been overturned. 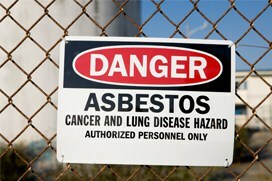 To achieve this the Asbestos manufacturers filed a lawsuit against the EPA. The 1989 rule banning asbestos was vacated in 1991 by the Fifth Circuit Court of Appeals and as a result, most of the original ban on the manufacture, importation, processing, or distribution of the majority of asbestos-containing products was overturned. Asbestos containing products such as asbestos sheeting, board and automotive components banned in the EU are not banned in the USA. An aim of TTIP is the introduction of Investor-State Dispute Settlements (ISDS). This will allow US companies to sue EU governments if those governments’ policies cause a loss of profits. Simply put it will mean that US asbestos companies could sue any EU government that refuses to allow the importation and sale of asbestos products not currently banned in the US. Public support for this agreement is on the wane. A recent report in Germany shows that only 20% of respondents are in favour of TTIP, down from 50% two years ago. Governments were too ready in the past to accept the “advice” of the Asbestos Industry of the dangers of their product. As a result the UK has the highest mesothelioma mortality rate in the world. Perhaps it is time that the government took notice of the potential risks of TTIP and killed this agreement now before asbestos products are forced upon us again.